Most people who visit Ireland fly into Dublin, and then they’re off to visit the quaint, provincial side of things, as seen in the postcards. But to totally immerse yourself in the Emerald Isle, don’t skip its modern, urban centers. It’s in Ireland’s cities where you’ll find the best nightlife, an enviable food scene, and history in spades. On any trip to Ireland, be sure to reserve at least two days for the island’s largest city. It’s steeped in history, you’ll want to experience the nightlife, and there’s so much to see that you could easily spend the entire trip here (and many do). Don’t let that “largest” moniker fool you, though. “The Fair City” is relatively compact, walkable, and full of old Georgian buildings and centuries of dramatic stories to uncover, so it pays to spend time on foot — and to look up while you wander. Start by strolling through the cobbled campus of Trinity College and, while there, make sure to see at least two things: Trinity College Library and the Book of Kells. The former will make you feel like you’re walking into Hogwarts — the library was founded in 1592 — and if you’ve never smelled thousands of 500-year-old books, well, don’t miss the opportunity. The latter is an illuminated gospel, deemed Ireland’s national treasure, dating all the way back to the 800s. You can see both with one ticket, and making reservations in advance is definitely recommended. If you’ve got time to spare, visit the Science Gallery at the back of the campus for something different — admission is free and the exhibits change regularly. For a bit of more modern history, stop off at the General Post Office on O’Connell Street, an important landmark in Ireland’s fight for independence in 1916. And to round out the day with something more tranquil, head to Merrion Square or St. Stephen’s Green — both are pretty swaths of green space hiding right in the city center. And then? Time for food. Ireland’s cuisine has evolved at pace during recent decades, mirroring that of any other world-class destination. Brunch is a huge phenomenon in Dublin these days — try the truffle cheese fries at Farmer Browns. For lunch, join the line (there will always be a line) at Leo Burdock’s for the best fish and chips in Dublin. And if it’s a sunny afternoon, partake in the Dublin tradition of a walk along the Dun Laoghaire pier with a Teddy’s ice cream in hand. And, of course, you can’t visit Dublin without trying a pint of Guinness. Skip the crowds in Temple Bar and instead visit The Brazen Head, which claims to be the oldest pub in Ireland, for a slightly more authentic experience. Yes, the Guinness is infinitely better in Ireland. Even if you’re not a stout fan, don’t knock it till you’ve tried it. 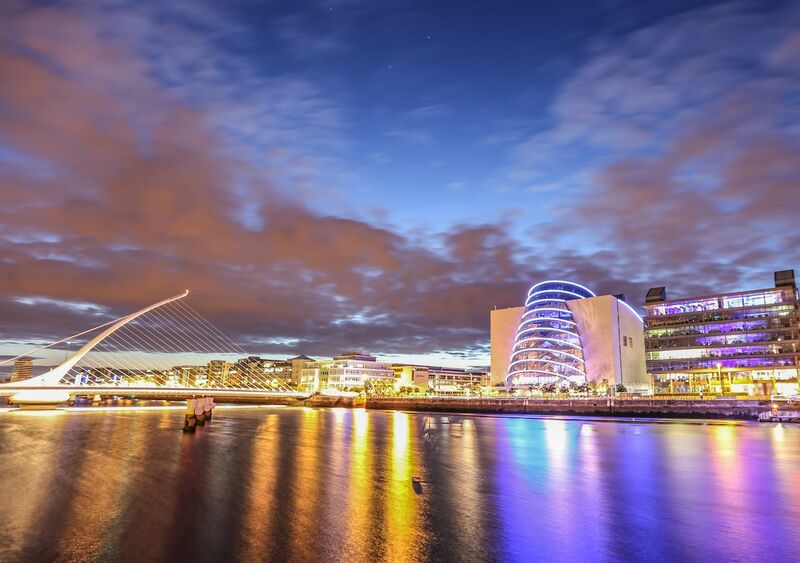 As for the logistical side of things, getting to Dublin is easy, with direct flights from 15 US gateways to Dublin Airport and many connecting bus and rail links. To get around Dublin, pick up a “Leap” card in a newsstand, top it up, and you’re good to go on all local buses and the LUAS (local tram). Expected arrival times above each bus stop sign should be taken with a grain — or heap — of salt, so don’t fret if yours is running late. You can certainly rent a car (and many tourists do), but be prepared to drive on the left in a busy, bustling capital city. Most visitors only rent cars if they’re going on longer road trips across the island of Ireland — within Dublin, it’s much easier to stick to public transport or grab one of the city’s many bikes. Kilkenny is the island’s medieval capital, located in Ireland’s Ancient East. You can rent a car to have the freedom of exploring the entire region and its 5,000 years of history, or take a train right into the heart of the city center. This way you’ll also be on foot to walk the “Medieval Mile,” taking in all the main landmarks of the city. You’ll inevitably notice a lot of teens with hurley sticks in hand as you stroll — Kilkenny is famous for its Gaelic hurling team, the Kilkenny Cats (hurling also happens to be the fastest and oldest field sport in the world!). When it comes to things to do, there is absolutely no shortage in Kilkenny. Start off the day with a guided tour of Kilkenny Castle and the gardens — seriously, don’t skip the gardens, as they couldn’t be more photogenic. Once you’ve got the perfect snap, climb St. Canice’s tower for spectacular views of the city (make sure to bring some water; it’s a bit of a workout). Then hit Kilkenny’s craft shops, like Folkster on Patrick Street, for local goods at reasonable prices. Stop into Mocha Vintage for a break from shopping, some coffee to refuel, and a slice of seriously incredible homemade cake — particularly the lemon drizzle. Next, it’s time to celebrate a successful day. Visit the Smithwick’s Experience for a tour of the brewery and a tasting, or grab a pint of Kilkenny beer at Kyteler’s Inn. For great food, even better cocktails, and live music, head to the beautifully decorated Left Bank Bar. And if a huge portion of Guinness stew is what you’re after, look no further than Matt the Millers Bar & Restaurant on John Street Lower. Cork locals fondly refer to their city, located in the island’s southernmost county, as Ireland’s “real capital.” It’s also known as the “rebel city,” thanks to its history during the Viking and Norman eras. Like Dublin, it has great transport links with an international airport (with direct service available from the US on Norwegian Air), train station, and bus station. You can use your Leap Card on public transport around the city, and there are also bikes for rent — but the city is super walkable, too. If you’re prioritizing Irish history, be sure to stop by UCC to visit the Ogham Stones — they’re some of the first written examples of the Irish language, dating all the way back to the 7th century (and admission is free). For something your friends definitely haven’t done, the Cork Butter Museum, on O’Connell Square, is a unique attraction and well worth an hour or two. You know Irish butter is the best butter in the world, right? If you don’t have much time, see the city on a “hop-on, hop-off” bus tour — you’ll be able to get the Cliffs Notes version of all the main sights, like the Glucksman Gallery, Cork City Gaol, and the Shandon Bells. But there’s always time for food. EAST by The Rocket Man, in the Winthrop Arcade, is a great lunch spot with fresh flatbread and falafel, and on a cold day, stop into the Ó Conaill Chocolate Shop for what some call the best hot chocolate in the world. And hungry or not, visit the English Market, an 18th-century food market selling all sorts of incredible fare. Mutton Lane is the place to go for a pint after you’ve gotten your fill in the market, and it’s right next door. You’ll have to roll yourself out of the city! 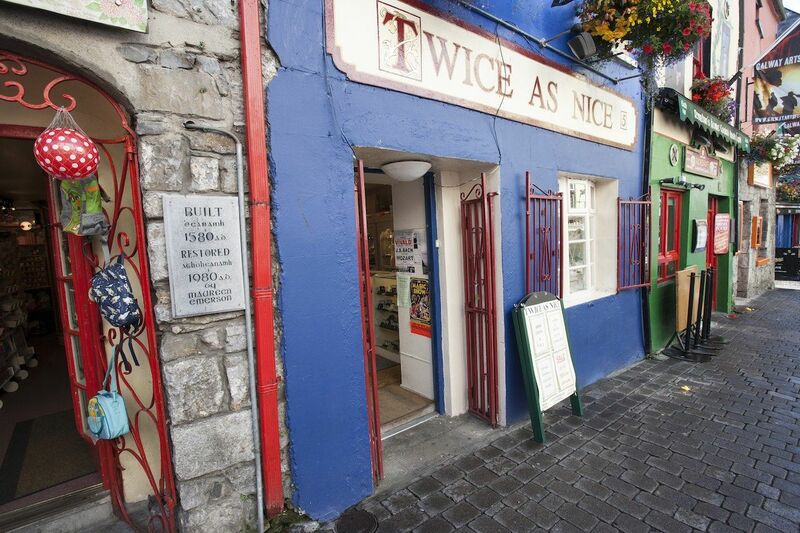 Galway is well-known as a festival capital in addition to being the most “Irish” city in Ireland. 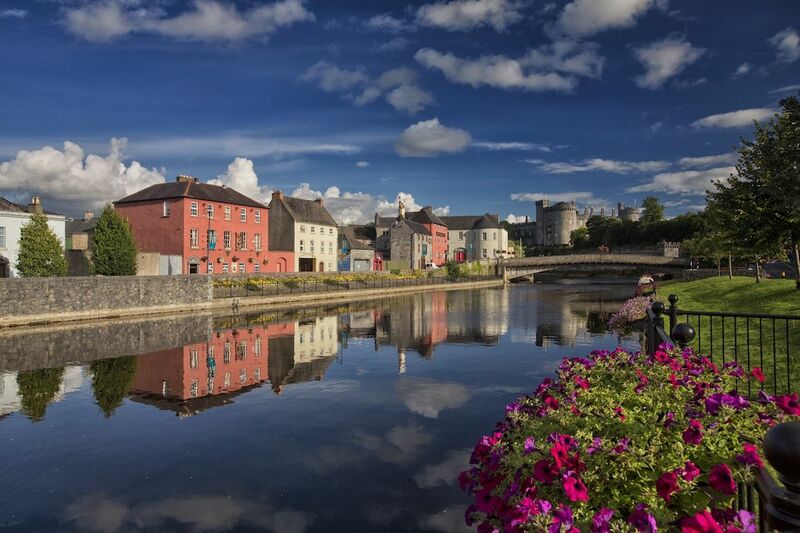 Easily accessible from Dublin (by train, bus, or car) and nearby Shannon Airport with its many direct connections from US hubs, Galway is a highlight of Ireland’s Wild Atlantic Way and a must-visit on your Ireland vacation. Beyond the pub and festival scene (there are some seriously great pubs here), Galway — the continent’s westernmost city — was named the European Capital of Culture 2020 thanks to its bohemian vibes and well-established arts scene. It’s worth timing your visit with the Galway International Arts Festival and Galway Film Fleadh in July, both of which are huge. The city’s also home to the world famous Druid Theatre Company. Traditional music and dance are highlighted through events on the daily — you’re likely to run across some sort of performance when you follow one of the city’s walking tours. Tour or not, NUI Galway, on the River Corrib, is a stunning campus full of ivy-covered buildings and a great place for a stroll. If you’re feeling brave, head to Salthill and jump off the Salthill diving board into Galway Bay (aka the Atlantic Ocean) after a brisk walk along the promenade, or “prom,” as locals call it. Afterwards, sit on the green by the Spanish Arch and have a picnic. Water is integral to the city’s identity, and plenty of hostels, hotels, and B&Bs have excellent views of the river, the bay, or both. And with water comes world-famous oysters and seafood — McDonagh’s is the best place to sample these, and it’s a favorite with tourists and locals alike. There’s also no shortage of pubs or “craic,” and Tig Coilí and Tigh Neachtain are musts for live music and a pint. Then grab a slice of pizza (it’ll be the size of your face) next door at local favorite Pizza Napoli, filling your stomach for the night ahead. 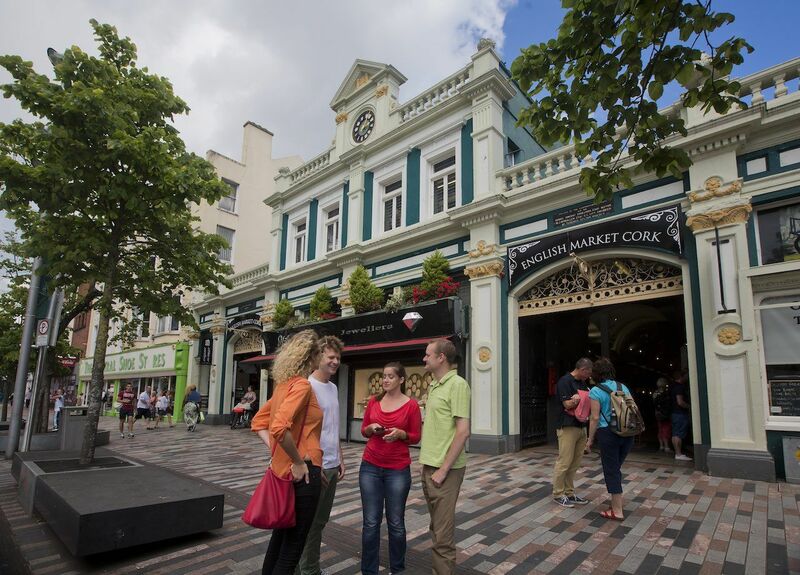 Today Belfast, capital of Northern Ireland, is a flourishing tourist destination with a growing foodie scene. It’s an easy drive from Dublin, but also has its own international airport with direct access available from the US on Norwegian Air, in addition to great rail and bus links — getting here is no problem. 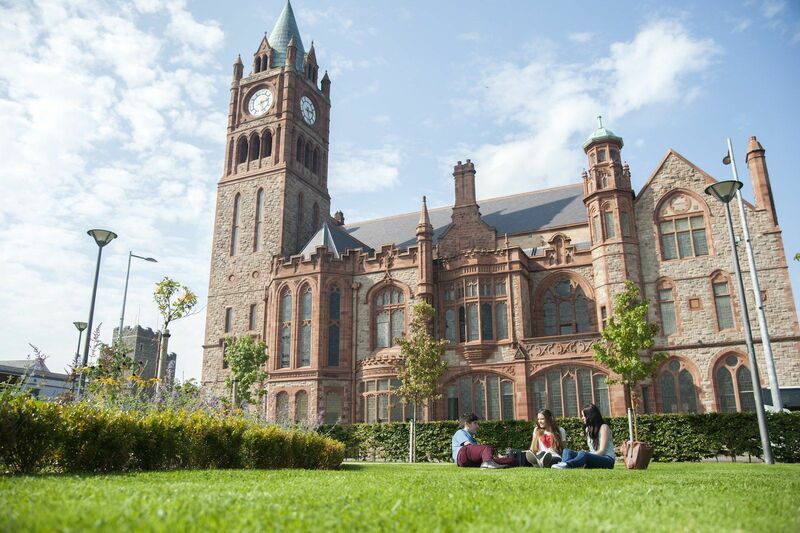 While in Belfast, you can’t not step into Northern Ireland’s rich history. 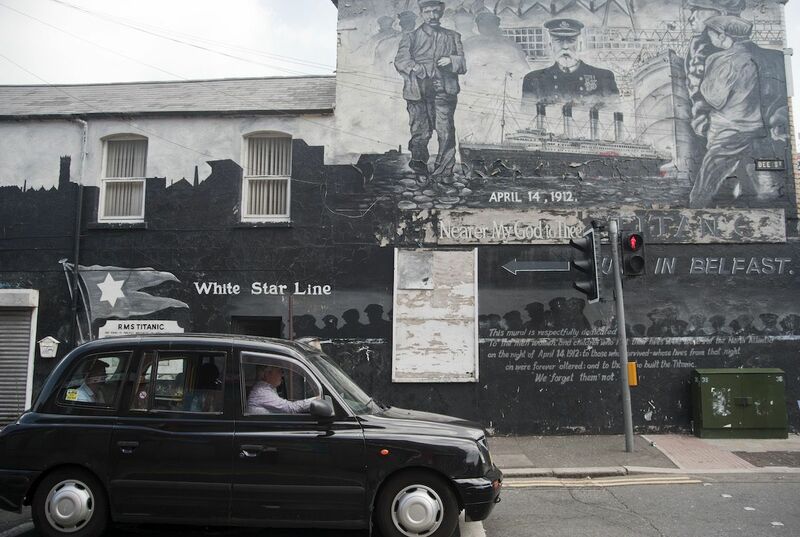 A renowned Black Cab tour is pretty much obligatory if you want to learn about the city’s past, taking in the Peace Walls, the city’s famous murals, memorial gardens, and more. This is truly a one-of-a-kind experience — the drivers are full of insider knowledge you won’t find elsewhere and will give you the real story. Next, book it to Titanic Belfast — it’s on the grounds of the actual shipyard where the Titanic was built, and it’s incredibly engaging and interactive. If you think you got everything you need to know from the James Cameron flick, this place will set you straight. Once you come out of your Jack-and-Rose reverie, take a free tour of city hall, or visit C.S. Lewis square, dedicated to the famous Belfast-born author. For a tastier piece of history, head to the oldest building in Belfast, McHugh’s Bar — they serve a great boxty, or Irish potato cake. Made in Belfast, near city hall, is great for dinner as well, serving amazing meals made from local ingredients in mammoth portions. Cocktails can be had at the Merchant Hotel — it’s a five-star establishment and a Belfast landmark — or at Crown Liquor Saloon, one of the most beautifully decorated bars in the city. Get cozy in a booth with a glass of wine or a pint of the black stuff, winding down an epic Belfast night. This city has a pretty great nickname — residents know it as “legenDerry”. While that should tell you all you need to know, it doesn’t hurt to mention it’s the only city in Ireland with its historic walls still fully intact. And it’s easy enough to get to — take a road trip from Belfast along the incredible Causeway Coastal Route, or go car-free via the train for some seriously stunning views. Walking the city walls — which date to the early 1600s and are probably the best preserved in Europe — should be first on any agenda. Then head across the Peace Bridge from Bogside to Ebrington Square, and take in the great views of Donegal in the distance. You can do all this any time of year, so to narrow it down, visit around Halloween if you can. The city’s known as the best Halloween destination in the world and celebrates the Banks of the Foyle Halloween Festival every year — parades, fireworks, festivals, and all sorts of events are held across the city, with people visiting from around the globe. Don’t forget to bring a costume! When it comes to food, Derry-Londonderry will knock your socks off. Pyke ‘N’ Pommes is a funky food truck on Queen’s Quay overlooking the River Foyle — try the Legenderry Burger (it’s Barney Stinson approved). The Walled City Brewery is a “nano” brewery and restaurant run by a couple, James and Louise, who offer “learn to brew” packages and some quintessentially Irish beer flights. Peadar O’Donnell’s bar is another great spot to get into the thick of the nightlife and enjoy the hustle and bustle of a busy local pub. But wherever you go — in Derry, in Dublin, anywhere in Ireland, really — you can’t go wrong. This post is proudly produced in partnership with Tourism Ireland.